Sometimes pulling up the roots isn't enough. Many gardeners choose Crossbow weed killer to deal with annoying weeds on their property. Crossbow herbicide effectively targets specific invasive plants while leaving surrounding grasses unharmed. Crossbow weed killer is an herbicide that specifically targets woody plants such as blackberry bushes, poison oak, and broad leaf plants. An herbicide is chemically designed to either destroy a plant or prevent a plant from continuing to grow. Crossbow is especially effective on rapid-growing invasive plants because it prevents their spreading but does not kill all the surround grass. Before you buy Crossbow herbicide, it is important to check with the EPA (Environmental Protection Agency) to ensure that the state has approved the use of this product. Some states, such as Arizona, are marked on the product's label. However, this information is not always apparent or available in the case of Internet purchases. Failure to check this could result in a fine or other strict penalties. Crossbow herbicide is easy to use, and can be applied with most hand-held sprayers or by using a spraying attachment on a tractor. 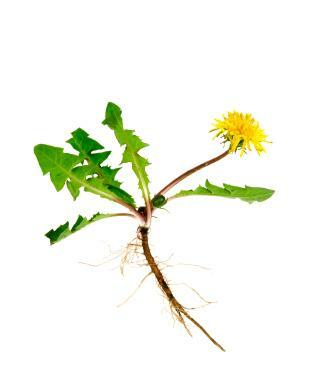 An added benefit to this weed killer is that it can be applied when weeds are dormant. Proper storage is this and all pesticides are an important step when make purchase and subsequently using Crossbow. If there are any questions or concerns as to if this pesticide is being stored or disposed of properly, contact the Environmental Protection Agency. They will provide specific guidelines necessary to prevent groundwater and other types of harmful contamination. There are essentially two types of chemical herbicide: glyphosate, and triclopyr. Crossbow uses triclopyr. Triclopyr targets specific weeds and manages to leave other foliage unharmed. Many gardeners will note that glyphosate products tend to require fewer applications and work more quickly but glyphosate will kill all the foliage in the area; not just the weeds. Triclopyr on the other hand, requires more applications and is slower to show results. However, it is often more effective if you to deal with a weed problem that is in the midst of other grasses. Keep in mind that just because Crossbow herbicide can kill weeds while leaving the surrounding grasses in tact, it is not safe for all situations. You should be aware that this product should not be used near any dairy animals. When you go to purchase Crossbow brand herbicide, you generally need to ask the salesperson to get it for you. It is generally not kept on the sales floor but rather in a locked cabinet or in the back storage room. As with any other pesticide, there are both benefits and drawbacks to use of this product. Be sure to consult with a salesperson, asking thorough and targeted questions, during the research process prior to purchasing Crossbow herbicide.